I'm delighted to welcome two-time RITA® nominee Nancy Herkness back to the Romance Dish today. Nancy has won many awards for her books, including the Golden Leaf, the Maggie and the National Excellence in Romance Fiction Award. After graduating from Princeton University, Nancy worked in a variety of jobs including retail management and buying and computer systems sales and marketing before turning her focus to romance writing. 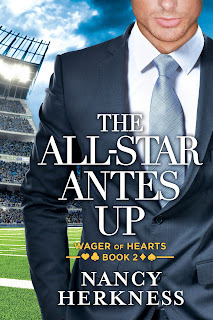 Nancy recently answered a few questions for me about her Wager of Hearts series and her newest book, The All-Star Antes Up. For the record, I loved it! Hi Nancy! Welcome back! I’m having so much fun reading your Wager of Hearts books. Please tell our readers about the premise of this series. It’s so great to be back here on the Romance Dish, one of my favorite blogs! A CEO, a quarterback, and a writer walk into a bar…I have one of my heroes comment that it sounds like the setup for a bad joke, but these men aren’t laughing. When my three lonely billionaires find themselves drinking alone one night at the exclusive Bellwether Club, they realize they have a lot in common—humble backgrounds, impressive wealth, and a lack of love in their lives. Tired of being pursued for their money, they make a wager: to find women who love them for who they are. Book One, The CEO Buys In was terrific but I enjoyed your new book, The All-Star Antes Up even more. What can readers expect from this story? 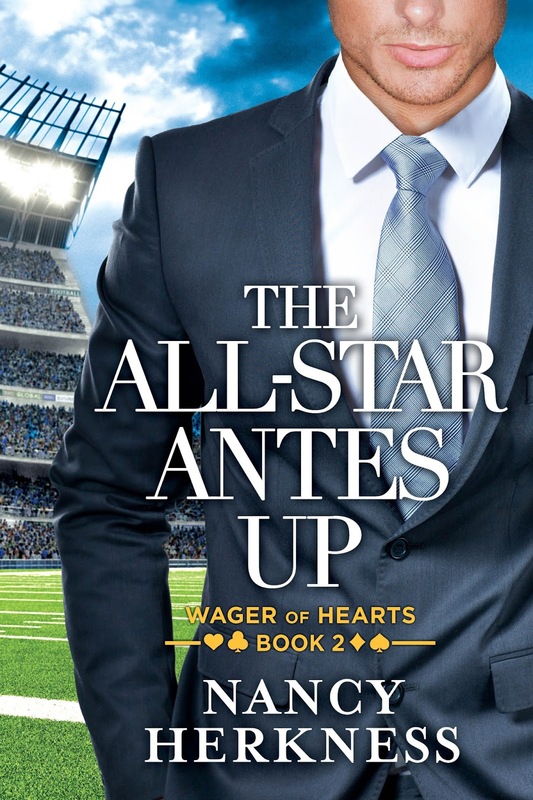 I love hearing that you liked The All-Star Antes Up even more than The CEO Buys In because I am always challenging myself to write a better book each time. Knowing that I’ve accomplished that in your eyes is a great satisfaction to me. Thank you! The All-Star Antes Up is about Luke Archer, the legendary quarterback for the New York Empire. When his best friend retires from playing football, Luke realizes his time is coming soon, and he faces that prospect with despair. To reach the pinnacle of success required a single-minded focus on the game that has left no room for anything else in Luke’s life. Add to that problems with his brother and Luke is facing a bleak future. When he is temporarily sidelined due to injury, Luke decides he should begin to broaden his horizons, so he hires his luxury building’s concierge to give him a cultural tour of New York City. It’s amazing how passionate great art can make two people feel. LOL! Being a life-long football fan, and a small town girl, you tapped into many of my youthful fantasies with this story. Are you a fan? Were you inspired by any real-life players while creating Luke? Have you ever been in a NFL VIP box? by osmosis. What really turned me into an enthusiastic spectator was Susan Elizabeth Phillips’ marvelous novel It Had to Be You, which lives on my keeper shelf and gets re-read on a regular basis. When I watch a real football game, I keep looking for Susan’s hero Dan Calebow pacing the sidelines. And am disappointed when he isn’t there. Now, of course, I search for Luke’s #9 on the field. Confession time: Luke Archer was originally a hockey goalie. I’m a huge hockey fan and particularly admire the career of Martin Brodeur of the New Jersey Devils (since I’m a Jersey girl now). I wrote a book starring a future Hall of Fame hockey goalie facing the end of his career (sound familiar? ), but no publisher wanted it. So I recast my goalie as a quarterback and Luke Archer was born. PJ, interrupting to say I've been an enthusiastic hockey fan since I was a sprout and my college boyfriend was a star on our university's hockey team. I so would have bought that book! Once I settled on Luke being a quarterback, I combined the careers of Tom Brady and Peyton Manning, although I made sure that Luke has one more Super Bowl ring than Brady. Of course, Luke would never cheat either. Many, many years ago, before the new stadium was built here in the New Jersey Meadowlands, I was lucky enough to spend a game in a VIP box. It wasn’t nearly as nice as the new ones, but I remember the massive amount of food on offer. Miranda is a terrific concierge and tour guide. (I found myself taking notes while reading the book) What are the top five experiences she would recommend for someone visiting New York City? Being the talented concierge she is, Miranda would tailor her tour of New York to her visitor’s interests. However, we’re book people here, so let’s go with that. The Morgan Library. THREE Gutenberg bibles, with one always on display! That alone is enough to get a book lover there. The building itself is spectacular, a library to die for. You never know what marvelous manuscripts will be on display in the various galleries, but I guarantee you, they will be fascinating. Miranda and Luke dine in the restaurant that was originally the Morgan family dining room, so she would recommend that. The New York Public Library. Say hello to the lions Patience and Fortitude who guard the entrance. Visit the glorious Rose Main Reading Room. There are also rotating exhibitions there. The Empire State Building’s Observation Deck. Yes, it’s touristy, but there is nothing like seeing New York City spread out below you in all directions. And it evokes two wonderful movies: An Affair to Remember and Sleepless in Seattle. The Metropolitan Museum of Art, for so many reasons. Miranda and Luke begin at the Temple of Dendur and progress from there. Remember that in The Age of Innocence, Ellen Olenska and Newland Archer (note the last name!) meet at the museum, so it’s a place for literary lovers. I fell hard for Luke; going all fan-girl at some points and at others, wanting to wrap my arms around him and give him a hug. What do you want readers to understand about this billionaire athlete who seems to have the world at his feet? We’re all human, no matter how rich or successful we are. Luke loves his family, which makes him vulnerable to the same pain we all feel when those nearest us are unkind. His brother makes him feel both guilty and angry, emotions we can relate to. Not to mention that in order to reach the top of his field, Luke had to focus on one thing: football. He missed out on many of the things we take for granted: going out for a pizza (he’s always in training), learning something just for the fun of it (he took classes around his practice schedule), traveling to sight-see (his trips were to football stadiums), or making an occasional mistake without the press pouncing on it (cell phone cameras are everywhere). Miranda left the farm behind to pursue a life surrounded by theaters, museums, and the vibrancy of the big city – her happy place. Where is your happy place? What makes it special? I have more than one happy place, which makes me a lucky person. One is in my office, sitting in front of my computer and writing my next book. I love my job! The second is exploring a new place. I love to travel. My husband and I often talk about going back to one of the places we’ve visited and loved, but we never do because there’s always someplace we haven’t been to, calling our names. The third is on the back of a horse (although nowadays my muscles complain about it.) I often go horseback riding when I’m traveling, which makes me doubly happy. The more I see of Gavin (billionaire #3), the more intrigued I become. Are you able to share anything about his story? When will it be released into the wild? Ah, Gavin. Everyone is interested in him…which puts a lot of pressure on me to make his book great. LOL! Honestly, I’m almost finished with the first draft of his story and it’s been pure pleasure to write it. I am particularly good at torturing Gavin because he’s a writer and I know all of a writer’s worst fears. In fact, I gave him the most awful problem a writer can have: writer’s block. I’m so mean! But I also took pity on him and gave him Allie Nichols, a down-to-earth physical therapist (who just happens to hail from Sanctuary, West Virginia). * Allie has enough sass to handle Gavin’s snark, but she’s also a healer. And he needs a lot of healing. Gavin’s book should be released next spring. My publisher hasn’t given me a date quite yet. *Sanctuary, West Virginia is the setting of Nancy's award-winning Whisper Horse series. Will you be attending any events this summer where readers will have the opportunity to meet you in person? I will be at the Romance Writers of America conference in San Diego in July. While I am not participating in the big public signing, conference attendees can find me at the Montlake Romance signing on Thursday, July 14th, from 9:45 – 11:15 a.m. Thank you for visiting with us today, Nancy. Would you like to ask our readers a question? PJ, it is always a great pleasure to be here on the Romance Dish with you and your fabulous readers. I’m so grateful to be invited! I’m already thinking about the Christmas novella I’m planning to write. So here’s my question for readers: What is the maximum age you would find acceptable for the heroine of a romance novel? 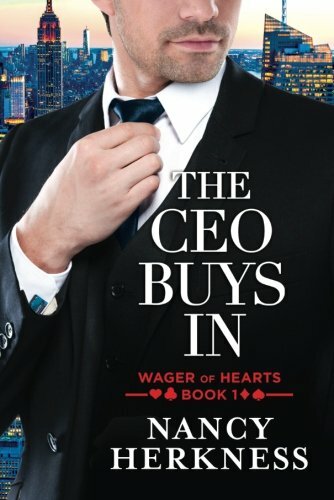 Two randomly chosen people who leave a comment on today's post will receive an autographed print copy of The CEO Buys In. I don't think I could put a maximum age on it. My grandfather remarried at 86 to a young chippie of 65. So sweet. I love hearing that, Mary. We all want to be loved, no matter what age we are. Why do we have to put an age limit on romance heroines? I know plenty of people who have found love late in life. I know many of those couples as well, Glenda. A dear friend found love again after her husband died a couple years ago. She's in her early 70's and her new boyfriend is in his 80's. They're like a couple teenagers. 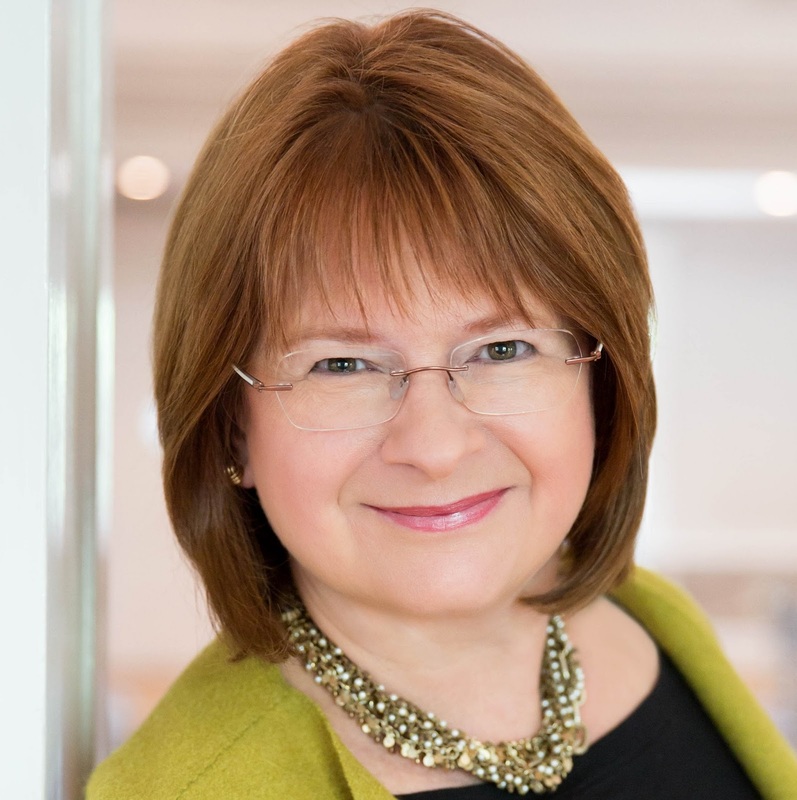 Glenda, I couldn't agree more, but publishers feel that readers want younger heroes/heroines. So I'm trying to figure out how much I can push that particular envelope. :-) Glad to hear you are on board with lots of leeway. Yes, no limit, no max, just romance and love...Who cares, it makes the heart go flutter. As far as your series, I love it!!! LOVE IT. and hmmm, I loved both books and both "characters" yes, those guys certainly are characters but how can you not love them? All Star had so much in it I loved. And our heroine, very nicely done!!! Miranda fan here! Cannot wait for number three. Right there fan-girling with you, Hope! Hope and PJ, thank you for the lovely compliments! Hope, I'm delighted your heart flutters over my billionaires. :-) Gavin's book is in the works right now. Romance lives on forever and there is no expiration date. Love makes us young and gives us inspiration and brightens our days. What a lovely way to say it, Petite! So true! We all want to experience the beauty of romance which keeps us going and makes our lives meaningful. It should never end. I couldn't agree more, Traveler. Love should go on forever. Let's hope it does for all of us. I enjoy reading romances with a sports background. As to the question, although love can happen at any age, I think under 50 works for the primary romance and any age for a secondary romance in the same book. Susan Elizabeth Phillips did this quite well in What I Did For Love - the heroine's father had a romance plot, too. Kim, thanks for the astute comments on age for primary characters. I love reading about older secondary characters with their own love story myself. You're right: that can always happen. So glad you enjoy sports romance! I can tell you are an SEP fan like me. I'm frantically working to meet a deadline this week, but I had to drop by and say that I too fell fathoms deep for Luke, and I am elated that I guessed right on your quarterback models. I am so-o-o eager for Gavin's story. Also, I'm loving more older leads in romance. No max age for this reader. Many, many thanks, Janga! I am thrilled to hear you fell for Luke...and figured out who I modeled him on. You're a true sports fan! Glad to hear you are enjoying older leads in the genre. Are you writing them too? Oooh, can we read your essay somewhere? I'd love to. I agree with almost everybody that there is really no age limit on falling in love. Kudos to Marys grandfather on his marriage. There is definitely no age limit on falling in love. How sad life would be if there WERE a limit! Thanks, Diane D.
I am so happy to heart that, JPC! I am planning to make the characters in my Christmas novella a bit older than the norm, so I'm hoping everyone feels the same way you do. Welcome, Nancy! I'm so happy to have you visit with us today! I agree with Kim. For the mainstream readers, I'd stick with under 50 for the lead couple and any age for a secondary couple. I'm not sure how well readers in their 20's would accept older couples but there are a whole lot of book-buying readers from 35 to well into their 90's who would love older couples. I was on a "new trends" workshop panel at RWA last summer and a vast majority of the packed audience said they wanted book choices with more mature couples. Oh, and I state that 90's age range with authority. I have a life-long friend who will celebrate her 95th birthday next week and still loves reading romance! Isn't that wonderful! Actually, my father was reading romance novels in his nineties. He told me he wished he'd discovered them sooner. For some reason, he didn't consider reading MY books quite the same. LOL! Maybe 42 so they're still in the pre-menopause years? I just read a new book that's coming out this month from one of my auto-buy authors that has a 48 year old, widowed hero and a 37 year old, never been married heroine. It's the first in a trilogy with heroes and heroines in their 30's and 40's. Her readers are wildly enthusiastic about the idea of older couples and I loved this first story. I too agree with the under 50 for the primary romance and any age for secondary. I haven't read these Billionaires yet but they are definitely going on my TRL. So happy to hear that you have my Wager of Hearts billionaires on your TRL list! Thanks for the input on romance heroines ages! It's very helpful to me. I think a story about a mother/daughter both finding love... I don't think there's an age limit on finding love. That's a lovely idea. I'll see if I can find a way to incorporate that into a future book. Thanks for the suggestion! Susan Mallery writes terrific books !I saw that she has that new one coming out. Will definitely get my hands on it. We need to have older women featured in romances! Romance is romance regardless of the age of the heroine. Older women can experience romance the same as younger women. The pace and stamina of both the hero and heroine may have to be decreased but love is love - and sometimes it's lovelier the 2nd time around. Sounds like there could be a song there. Martha, you're a mind reader. I'm noodling around with the idea of second chances for my next series. You know what they say, all great minds . . . I'm with everyone else on this: there should not be an age limit on romance. There are so many reasons an older couple can have an HEA. Absolutely, Nikki! I am so encouraged by everyone's support for older couples. Yay! I don't see a maximum age for a heroine. I read some books in where the mom is older. Love it. Love is just for the young, it is for everyone. It is indeed for all ages...and for the ages! I'm getting very excited by all this enthusiasm for older heroines. The older I get, the older I want them to be! I get tired of reading about twenty-somethings. I enjoyed your post! I'm curious why you used #9. It's my lucky number!! The older I get, the older I want them to be! So true! I'm getting older too, so I expect that's why I'm intrigued by more experienced lovers. :-) I used #9 because it was my son's soccer jersey number for all the years he played. So glad it's your lucky number as well! That's funny. My husband used to coach our kids when they were little. When he brought the team shirts home, it was my job to give them out. My kids never got a little number like 9 because they were always the tallest on the team!! Funny! Around here, the fathers used to be in charge of ordering shirts for the teams when the kids were young. The result was that the shirts got ordered in L and XL and hung down to the children's knees. They were also generally in very ugly colors. LOL! So I hear you on the sports shirt experience. I don't think there should be a maximum age for a heroine!! Bube, I'm thrilled that my books piqued your interest. Thank you so much. I loved doing the interview. PJ asks such intriguing questions, doesn't she? It's a great series, Bube. I hope you enjoy the books as much as I have! I know the publishing industry tries to put a limit on age, but I think a well-crafted romance story can be written with characters of any age. I also think age shouldn't come into it - doesn't matter. Another vote for anti-ageism! Woohoo! Thanks, catslady. I think a person is open to romance at any age. The type of relationship may change as one ages, but the need to love and be loved doesn't. Wonderfully said, librarypat! We all have a deep-seated need to be loved and to give it as well. But you're right: the way it's expressed may change as we age. I will factor that into my novella. Thank you! Absolutely! I agree that older love can be sweeter and tenderer in many ways. Glad you are in on the idea, Patoct! That's funny, especially about the ugly colors!! She's a new to me author but I've had so many good recs of her latest book! Love hearing that, MsAwesome! It's looking better and better for my older heroine, thanks to everyone here's support. Thank you for joining the chorus of approval. Yay, Bev! Another vote for romance at all ages! Yes, it would absolutely be different, which is what makes it so interesting. Now, would someone please tell the publishers that we're all good with older lovers? LOL! Seriously, this is good stuff to know.